I just heard this song on the radio and knew it had to be this week's Music Monday share. 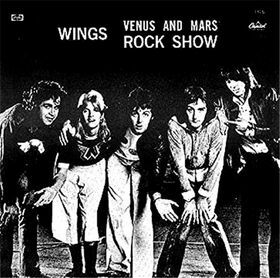 "Venus and Mars/Rock Show" is a song medley from Wings' 1975 album Venus and Mars. These songs were written by Paul and Linda McCartney. I became familiar with them from the Wings Over America album, which I played over and over again during my teen years. (I have it on CD, and yes, still love it.) I love the way this soft pretty song ("Venus and Mars") segues into a real classic rock number. Do you remember this one? I'd love to hear from you in the comments, below.